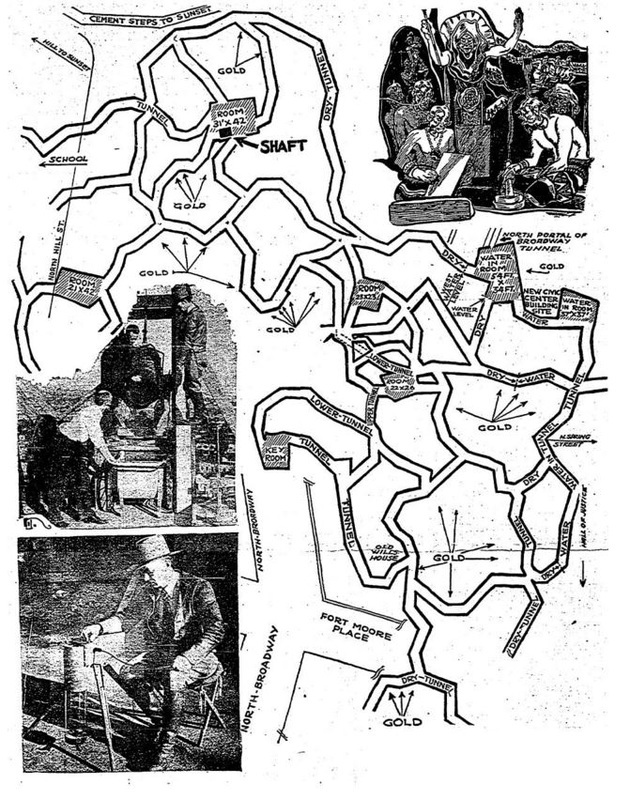 On 29th January 1934, the Los Angeles Times ran a front page story about a search under the city by G. Warren Shufelt, who was looking for the 5000 year old underground city that belonged to the Lizard People. The area had been mapped out using x-ray devices and they had managed to burrow over two-hundred feet into the ground. Then suddenly, without warning or reason, the city of Los Angeles shut the search down, despite having given permission for it to proceed over a year prior. They sealed up the area, and never spoke of it again. Neither did Shufelt or his team, who seemed to disappear without a trace. ​You can read the article in full here. Shufelt was convinced that the golden tablets he would find in the ancient city contained the history and origins of humans on Earth – as well as a detailed account of human history in the Americas, including many lost Mayan inscriptions and records. He had first been told the story by a chief from the Hopi tribe in Arizona – a story that he claimed matched many of his own findings as he began his dig. The underground city was built by the ancient, technological advanced race following a disaster that burnt much of their cities to the ground – the Winslow Crater in Arizona was said to be the impact of the meteor that almost wiped out their civilisation. They proceeded to build the underground city shortly after - Hopi legend stating that they used a “chemical solution” to bore the vast array of tunnels into the rock. Here, they stocked large amounts of food and provisions, and lived underground. You can’t help but wonder if these Lizard People are not the same as the Ant People of Hopi legend – who many believe are essentially the Anunnaki. With the project now shut down and Shufelt seemingly nowhere to be found, we may never know. Many tunnels have been discovered over the years of turning the City of Angels into the vast metropolis that it is today. Most are quickly “explained” as being the work of smugglers and criminal gangs and are rapidly sealed up and “forgotten” about. Is there really an underground labyrinth of sorts under modern day Los Angeles, and if so, does it date back thousands upon thousands of years? ​And, are the Lizard People mentioned, what some refer to today as the Reptilians? ​Bridget Nielson, of the Hybrid Children Community who we wrote about in our Hybridization Program article, spoke recently about the Reptilians on her You Tube channel (you can view that video below in full). Her comments are interesting to say the least, particularly the origins of the Reptilians and the role they play and influence they have here on Earth. The Zeta Reticuli star system is interesting in itself as many others have sited this system as being home to grey aliens, perhaps most famous was the story of Betty and Barny Hill. Following their alleged abduction, Betty drew a star map of where her abductors were from, and although critics argue that it was too vague others believe it clearly is a star map of the Zeta Reticuli system - you can see a comparison of both below. ​This system has also been linked with other UFO conspiracies – perhaps most notably, the Serpo Project – an alleged secret project that sent twelve humans to Serpo, a planet in the Zeta Reticuli system. In recent years, although he didn’t mention any particular star system, hacker Gary McKinnon spoke of seeing top secret documents that listed “off-planet” personnel. ​Bridget also makes connections to the mass disappearances in America’s national parks – which most people agree, is a phenomenon in its own right. People go missing all the time, but David Paulides in his book “The Missing 411” studied the disappearances in parks in particular and began to notice disturbing patterns - not only in the United States, but in Canada and much of Europe. In terms of America, the cases were soon identified as to be happening in fifty-two “cluster spots” – suggesting that “something” is lurking in these specific and often “lonely” areas. Not only that but much more bizarre things were noticed – such as in 95% of the cases where someone had disappeared, bad weather in the area would usually immediately follow, which would wash away footprints and in general hamper the search. Sniffer dogs could also never seem to get a scent to pick up on. Perhaps even stranger is that those bodies that are found are very often missing their shoes and socks, and when the autopsy is conducted there is often no recognisable cause of death. ​You can read in a little more detail about these strange disappearances here, and below check out the two video/radio interviews on the subject. 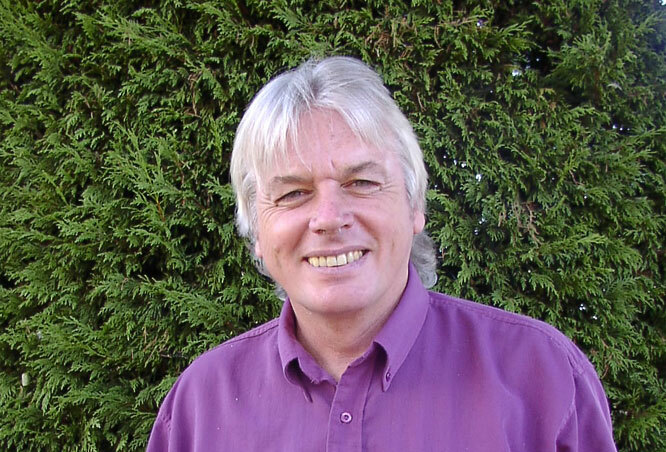 Author David Icke firmly believes that the Reptilians are not just influencing events here on Earth – he maintains that they are in real positions of power. He refers to this as the Reptilian Connection, and while we are going to present a “readers digest” version of this theory below, you can read the full article here. In our Ancient Astronaut introduction we spoke of the Anunnaki and the translation of Sumerian clay tablets by Zecharia Sitchin and how they told of an alien race essentially “creating” mankind through genetic manipulation. ​Icke did “go there”, and what he claims is not only interesting, but begins to make a lot of sense – and what’s more, there are examples and evidence in numerous ancient texts of this serpent race. Icke traced back the bloodlines of nobility and influential families, not only over a few decades, or even a few hundred years, but right the way back to antiquity – essentially back to when “gods walked the Earth” – Gods? Or Aliens? Reptile aliens? It might be worth noting that humans have a fundamental reptilian element to their brains – which if evolution is correct shouldn’t really be there. The Anunnaki (or Reptilians), interbred with humans in order to create hybrid beings that would preserve their “divine” bloodlines – these people were then placed in positions of power as kings and queens – not only in Sumer but across the world. What is interesting to note here, is that in many ancient records, the first “kings” are spoken of as gods who ruled for thousands of years before then transferring to those that have the “divine right” to rule over the rest of humanity - the length of rule suddenly that more in line of a standard human lifetime. As humanity “spread out”, so did these bloodlines, as they ended up being the monarchies of Europe. These European countries, in particular Great Britain, spread their influence through colonialism right across the planet, reaching as far as Australia and the Far East. Along the way they made alliances with other reptilian-hybrid “rulers” and so giving them the opportunity to interbreed and keep their bloodlines strong and undiluted from the hybrid state. As well as monarchs, these bloodlines found their way into positions of political, economic and generally influential power – they essentially controlled everything of importance. The United States is a good example of this, especially given its, relatively speaking, young age when compared to Europe, Africa and Asia. ​The forty-two presidents the United States has seen (at least officially - there is debate as to several that came before George Washington) are all related – every single one of them, with thirty-three of those presidents all being directly related to Charlemagne, otherwise known as Charles The Great, who was King of the Franks in the middle ages. The Franks were essentially territories that we would recognise as Germany and France today, and it was Charlemagne who laid the foundations for much of Western Europe, in particular France and Germany and also played a key role in Britain’s spread of influence around the globe at this time. From these bloodlines came such “famous” and certainly influential families as the British Royal Family, the Bush family, as well as the Rothschild and Rockefeller families to name a few. You can do some further reading on the Bush-Windsor family here and here. It is said that these hybrid families can “shape-shift”, and this in part is why they need to keep their DNA structure strong. Otherwise they would not be able to appear as human. It is also why they are constantly linked with Satanic blood sacrifices, particularly involving children (remember the record numbers of people that go missing in the national parks) – they need to consume this blood for their bodies to “hold their human shape!” What is interesting here, is the legends of Dracula and his thirst for blood – one of the Reptilian races is said to be from the star system called “Draco!” – coincidence? As crazy as it sounds there are numerous reports of “lizard men” in the mainstream press – even if they are reported in a tongue-in-cheek way. Very recently in Los Angeles a man spoke of how he witnessed “a judge transform into a reptilian in front of his eyes." You can read that article in full here. 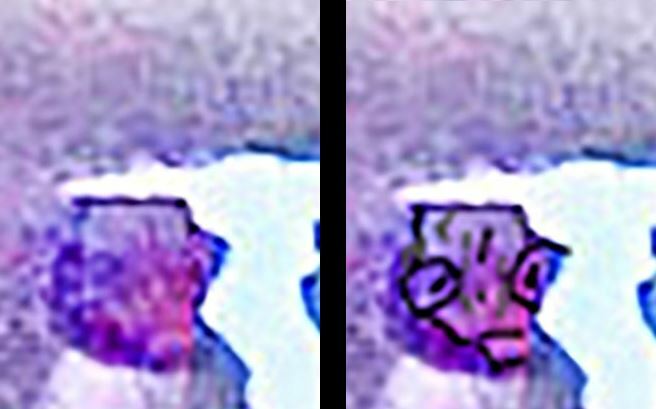 ​In Florida another witness claimed to have taken a picture of a person driving a car who had transformed into a “reptile humanoid” – you can see the picture below and click here to read that article in full. Does this picture show a reptilian humanoid? According to Icke, there is simply not enough of these gods or Reptilians to take over the planet, so they need to appear human and control things discreetly. This is why they have people in positions of power in such key areas as education, religion, media and medicine. This is essentially, “The Conspiracy” – whether control through chemtrails or fluoride in the water, the covering up and suppressing of alternative healing practices that date back thousands of years, to control of what is taught in schools or told to the public through the mainstream media. While religion may have once been enough to control a society, now as people move away from such notions, consumerism takes its place, making people no longer a slave to their church, but to their lifestyle and possessions, and with many “addicted” to television, their mind is controlled and ruled by advertising and subtle frequencies that infiltrate the brain. 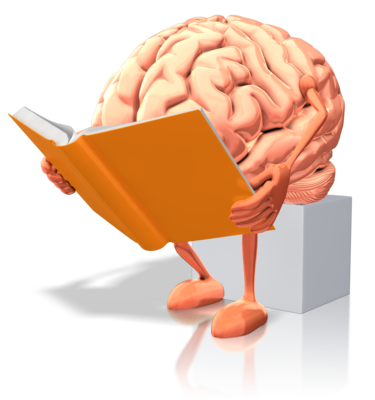 Mind control has been well documented in the past, particularly in getting people to carry out certain “agendas.” You can real a little more about that here. While Icke, like Nielson, states that not all reptilian races are against humanity, it appears the ones in power and positions of influence are. ​Check out the two videos below. They are each a couple of hours long, but well worth watching. They are two interviews with Credo Mutwa who speaks of the reptilians at length. Icke referred to Mutwa and these interviews as "the most amazing man it has ever been my honor to meet, a genius, and the importance of these videos is simply beyond words." Gary McKinnon – Project Camelot Interview – Did He Really Have Anything To Gain By Lying About These Claims?